International Women Day: Why March the 8th? We celebrate International Women’s Day since 1917 on the 8th of March. But why this day? New York, 1857, 8th of March. Women working in a textile factory held a strike for better working conditions and wage. However, many argue, that there is no proof such event happened, it’s only that people tried to find a retrospective event to link it to the 8th of March (Feminist Studies Vol. 11, No. 1 (Spring 1985) ). But where does this event come from? It cannot be out of blue. Historian Françoise Picq argues the following logic. Well, the first mention of the event was in a French daily L’Humanité in 1955. To understand why Madeleine Colin, the late leader of the largest French trade union came up with this story, we must understand the real origin of the date. Clara Zetkin, a German activist initiated to commemorate working women at the Second International Socialist Women’s Conference in August, 1910. Later, the event of female workers’ uprising in Petrograd, March 8th, 1917 became not only a starting point of the Bolshevik revolution and takeover, but also the date they chose for the celebration. 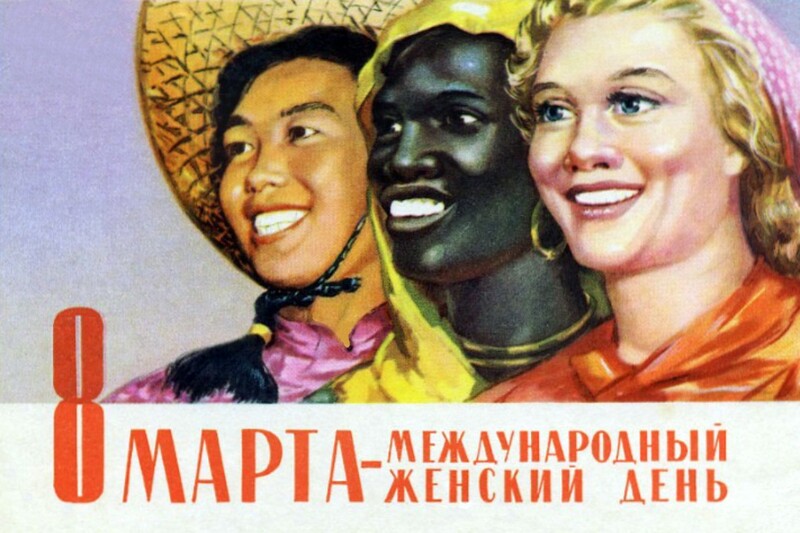 Therefore, the day of Women’s Day was born as a strict communist tradition with the clear goal to mobilize women. Well, Madeleine Colin, wanted to gain independence from the Union of French Women and the communist party and wanted to cut ties with the communist celebration of the day. Therefore, she decided to name an event that did not link the day with the Soviet Union, but still had a link with socialism; thereby, the event of American seamstresses was born. Do you think it is only a perfect example falsification of history or does it only prove our gullibility? No matter what the answer to this question is, we can still see that there is a need to raise awareness of women’s equality and importance, as – according to Guardian – 155 today restrict women’s economic rights, creating a wide and increasing not only legal gender gap, but therefore a gap in almost every spheres of life. Arc, Stéphanie . “Women's Day: theTrue Story of March 8th.” CNRS News, news.cnrs.fr/articles/womens-day-the-true-story-of-march-8th. Ford, Liz, and Mark Anderson. “Women'sprospects limited bylaw in 155 countries, finds World Bank study.” The Guardian, Guardian News and Media, 9 Sept. 2015, www.theguardian.com/global-development/2015/sep/09/women-business-and-the-law-2016-getting-to-equal-world-bank-report. I’m a current freshmen student of International Relations in English at the University of Corvinus. I quite enjoy learning languages and learning about new things in general. In the future I’d like to absolve my Masters in International Law, and later translate between countries (in legal terms).